The 49ers opener is Monday night, and while excitement about the Chip Kelly era is high, there’s some major concern about the ongoing saga of right guard Anthony Davis, and his future with the team. Reports say that the 26-year-old did not show up to the teams’ practice Saturday morning because of a “personal matter,” and he’s officially listed as questionable for tomorrow’s game against the Rams. The San Francisco Chronicle says that as of now, Davis is expected to remain with the team. The 26-year-old didn’t play at all last season, as he walked away in June of 2015 to let his body heal, but at the same time was considering retirement. 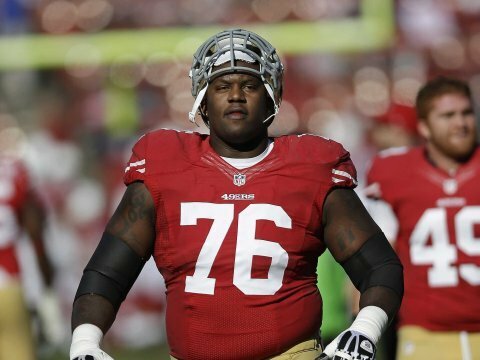 Davis got a golden opportunity this preseason to be the teams’ starting right guard, as he volunteered to make the move after Trent Brown was playing great at the right tackle spot. “We talked to him about trying to get our five best (offensive linemen) on the field and obviously A.D.’s in our top five,” Kelly said on KNBR about Davis. Whoever takes on the Rams on Monday night at the right guard spot, it won’t be easy, as they will line up against efensive tackle Aaron Donald, a first-team All-Pro in 2015, and one of the toughest matchups in the NFL. While this is a big deal, it’s also a big quandary for the team, as it will be interesting to see if Kelly makes an early statement and just moves on without him. If he gives him the chance, he likely won’t be back with the team until their next game next week against a ticked off Panthers team who lost to Denver in the season opener Thursday. The next 49’ers home game won’t be until October 2nd against the Dallas Cowboys, who lost to the New York Giants at home 20-19 on Sunday. 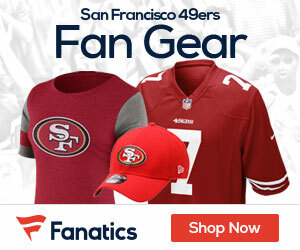 There are plenty of good 49ers tickets for sale for that game and all games for the Niners in 2016. Be the first to comment on "Status for 49ers Guard Anthony Davis Still Up in the Air for the Opener"